PA Law to Require Notification on Drug-Exposed Babies | The Danya Institute Inc. The Pennsylvania Department of Human Services will hear about every child born in the state that is exposed to drugs at birth, thanks to a bill signed into law this month by Gov. Tom Wolf (D). The child suffers from fetal alcohol spectrum disorder. After the state is notified about a drug-exposed newborn, a multidisciplinary team staffed by several different agencies would be convened to immediately assess whether child-protective custody or other services would be warranted. They must then develop a “safe care” plan for babies who are sent home that could include the involvement of public health agencies, child protective services or other systems. The notification by the care provider to a child protection agency will not be considered a child abuse report. This distinction is aimed at preventing mothers from feeling stigma or a fear of prosecution when going to a hospital. Advocates say the new law is an attempt to chart a new course for how the state responds to infants affected by prenatal drug exposure. “We don’t want the only door open to children and families affected by drugs to be the child welfare system,” said Cathleen Palm of the Center for Children’s Justice. Parents must be contacted within 24 hours of the receipt of the report. The details about which agency should become responsible for parents and children exposed to drugs and the extent of their involvement has not yet been finalized, and the state is now working to develop a set of protocols that would guide inter-agency work around this population when the bill takes effect on October 1, 2018. The law, Act 54, comes in reaction to the increasing number of drug-exposed babies born in Pennsylvania. According to a Pennsylvania Department of Health report, there were 3,897 babies exposed to illegal drugs before birth in 2016, a 30 percent increase of drug-exposed babies over the past five years. Drug-exposed babies often take time to identify. Most hospitals wait to observe any physical signs of withdrawal symptoms, known as neonatal abstinence syndrome (NAS). 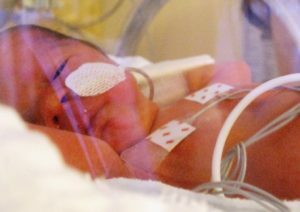 Newborns typically spend days or weeks in neonatal intensive care units without their mothers. While some of those newborns experience NAS because of illicit use of heroin or other opioids, many of them are exposed to methadone or buprenorphine, drugs used to treat drug addiction. Current law carves out an exception; providers are not required to report when addiction treatment is being prescribed under the care of medical professionals. But when Act 54 goes into effect on October 1, no such exception will be made, Palm said. The state will still be notified about a mother’s drug use, but the multidisciplinary team would be charged with making an appropriate response, based on each mother’s case. Wolf’s signing of Act 54 comes after his second renewal of the opioid disaster declaration first introduced in January. In his first declaration, Wolf introduced initiatives to increase access to treatment and enhance the coordination of health and public safety agencies.